This concordat secures many financial privileges for the Catholic Church, but it does so discreetly. It locks in already existing laws and regulations which could otherwise have been changed by the incoming democratic government and new constitution. For example, article 8 secures "the system of grants to the individuals, works and services of the Catholic Church" and also tax-exemption for Church employees. Article 11 ensures that "the State shall continue to" pay for military and police chaplains, while the next article locks in their salaries and pensions, delicately called "prerogatives", which continue "in retirement". And article 19, by freezing "national legislation in the field of private education", ensures state funding for teachers in Catholic schools. All this makes it hard to calculate the total cost of this concordat to the taxpayers of Peru. The Holy See and the Republic of Peru, wishing to continue to ensure, in a stable manner and more in keeping with the new historical conditions, the traditional and fruitful collaboration between the Apostolic Roman Catholic Church and the Peruvian State for the greater good of the religious and civil life of the nation, have resolved to conclude an agreement on matters of mutual interest. Article 1. 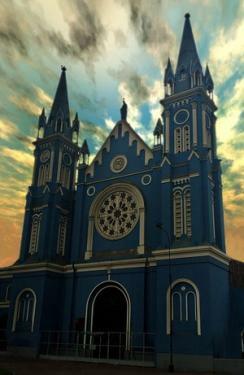 The Catholic Church in Peru enjoys full independence and autonomy. Furthermore, in recognition of the important role played in the historical, cultural and moral formation of the country, the same Church will receive due cooperation from the State to better perform its service to the nation's society. Article 2. The Catholic Church in Peru shall continue to enjoy the status of a public legal person, with full ability and freedom to acquire and dispose of assets and to receive foreign support. Article 3. Also to enjoy aforesaid [legal] personality and capacity are the Peruvian Episcopal Conference, of the Archdioceses, Dioceses, Prelatures and existing Apostolic Vicariates and those which may [later] be created the Holy See. Article 4. The personality and legal capacity of such ecclesiastical jurisdictions also covers the Ecclesiastical Councils, the Diocesan Seminaries, and the Parishes and Missions served by them. Article 5. No part of Peruvian territory shall belong to a diocese whose headquarters are abroad, and the dioceses established on Peruvian territory shall not extend beyond the national borders. Article 7. Once an ecclesiastic is appointed by the Holy See for the position of Archbishop and Bishop or Coadjutor [Assistant Bishop] with right of succession, Prelate or Apostolic Vicar, or for the temporarily administration of any diocese, the Apostolic Nunciature [Vatican embassy] will communicate the name of the same to the President of the Republic before its publication; once this has been done, the Government will give the respective recognition for civil effects. The residential Archbishops and Bishops shall be Peruvian citizens. Article 8. The system of grants to the individuals, works and services of the Catholic Church shall continue as before. The personal stipends are not considered as salaries or fees, therefore they are not taxable income. Article 9. The Orders and Religious Congregations and Secular Institutes may be organised as Associations under the Peruvian Civil Code, [while] respecting their internal Canonical regime. Article 10. The Catholic Church and the jurisdictions and religious communities that comprise it shall continue to enjoy the exemptions and tax privileges and freedom from customs duty granted them under the current laws and legal norms. Article 11. Mindful of the religious beliefs of the national majority, the State shall continue to ensure provision by the Military Vicariate of religious assistance to members of the Armed Forces, Police Forces and civil servants of the same who are Catholic. Article 12. The present Military Vicar and all Chaplains currently in service or in retirement will retain their ranks and prerogatives. Article 13. In future neither the Military Vicar nor the Chaplains under him will be assimilated into the military ranks or the police hierarchy. For the Military Vicar the prerogatives proper to a Brigadier General will be recognised, and for the Chaplains those of a Captain or its equivalent, according to the Armed or Police Force in which he serves. Article 14. Military Chaplains shall have equal rights of promotion as state employees of Army or Police Institutions. Article 15. The Military Vicar, because of the special circumstances under which he must perform his service, will be Peruvian by birth, and on account of his episcopal status, will be appointed by the Holy See, in agreement with the President of the Republic. Article 16. The Military Chaplains, preferably Peruvians, in their capacity as priests, will be appointed by the Military Vicar, and recognised by the General Command of the Armed Forces and Senior Management of the Police Institutions. Article 17. Military Chaplains will be drawn, wherever possible, from the Clergy of the Diocese in whose territory the Military Unit is located where they serve, and changes of deployment will be made in agreement with the Military Vicar to the Bishop of the place, for subsequent submission to the General Command or senior management. Article 18. The State guarantees the provision of pastoral care to the Catholics admitted to health facilities and guidance to their dependents, as well as to those in penal institutions. For the functioning of the Chaplaincies of such works and institutions it is necessary to have ecclesiastical appointments, without being held to the nationality requirement; this being done, it will be submitted to the competent authority for the subsequent effects. Chaplains are to form part of the Civil Service of the State, with all the rights and obligations, including Social Security. Article 19. The Church has full freedom to establish educational institutions of all levels in accordance with national legislation in the field of private education. The clergy serving in public education have, without being held to the nationality requirement, under Article 65 of Decree Law No. 22,875, the same rights as other teachers. In the civil appointment of teachers of Catholic Religion in public educational institutions, which continue to teach religious education as a normal subject, the approval of the respective bishop is required. The religion teacher may be kept in his position so long as he enjoys the approval of the Bishop. Article 20. The diocesan seminaries and training institutions of the Religious Communities will be recognized as Educational Institutions of the second year level of higher education, in accordance with Article 154 of Decree Law Nº 19326 (General Education Law) through a certificate of recognition issued by the Peruvian Bishops Conference. Such entities pursuant to Article 163 of the General Education Law award their own degrees in the name of the Nation. Article 21. Any differences that might arise concerning the content of this Agreement or any other issues will be settled amicably by the Parties. Article 22. This Agreement will become effective on the date of exchange of the instruments of ratification. In witness whereof the Plenipotentiaries sign and seal this Agreement in duplicate in the City of Lima, on the nineteenth day of July, nineteen hundred and eighty. * This was two days before the new democratic constitution came into force on 28 July 1980. See its promulgation on “los veintiocho días del mes de Julio de mil novecientos ochenta”, Las constituciones del Perú, 2005,“Constitución de 1979”, p. 559. And it can also downloaded from several more sites by searching for: "ConcordatoPeruSantaSede.pdf"